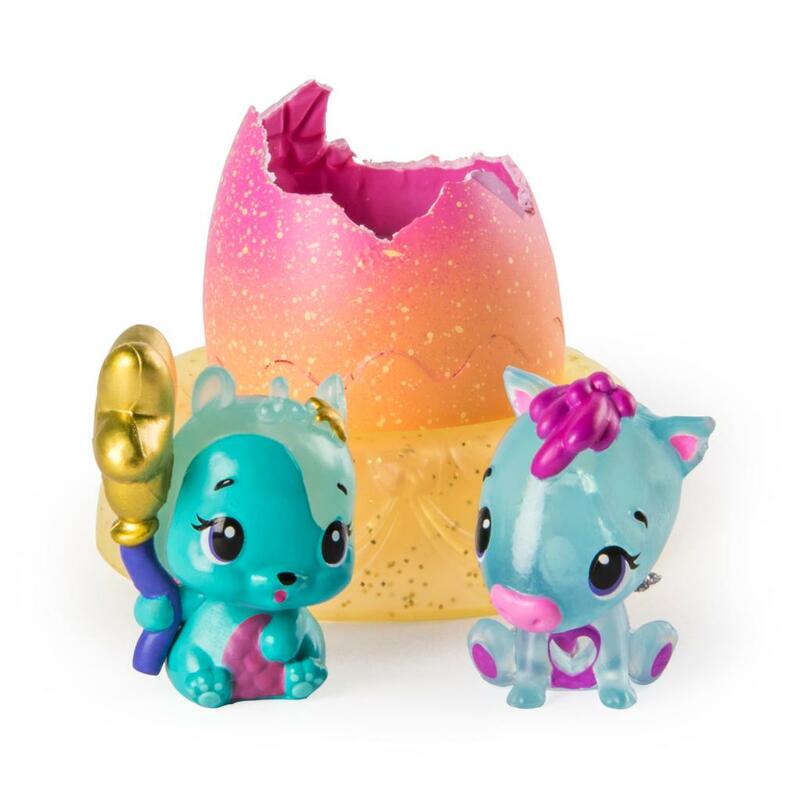 Hatch bright with Hatchimals CollEGGtibles! In Season 4, you can discover over 80 all-new characters that shine bright when you place them on a light! Help them hatch and discover five ways to show how they shine! 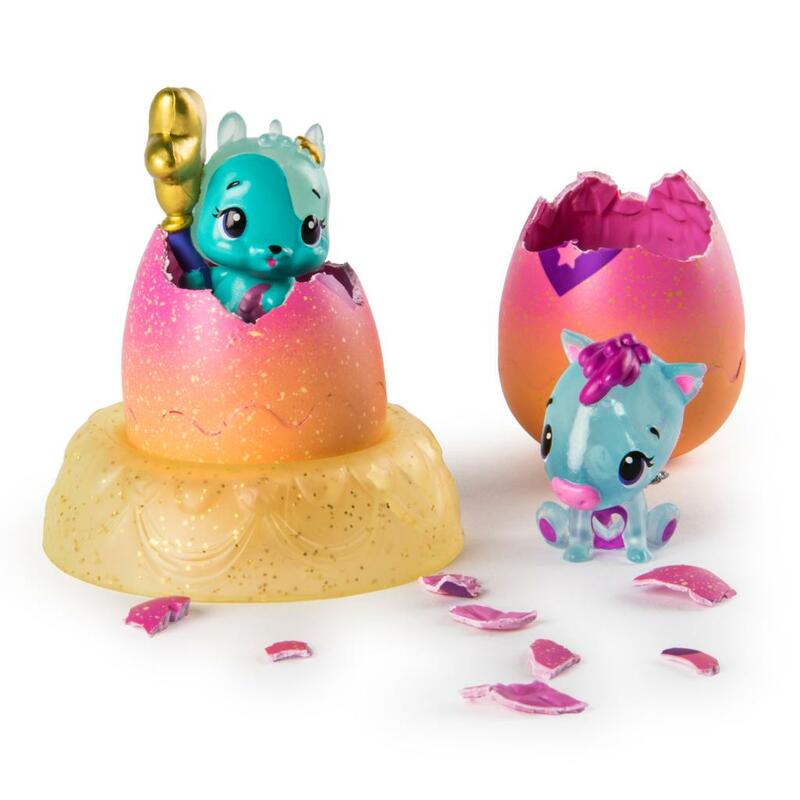 From glittery crystal to vibrant metallic, each Hatchimal has a special look! 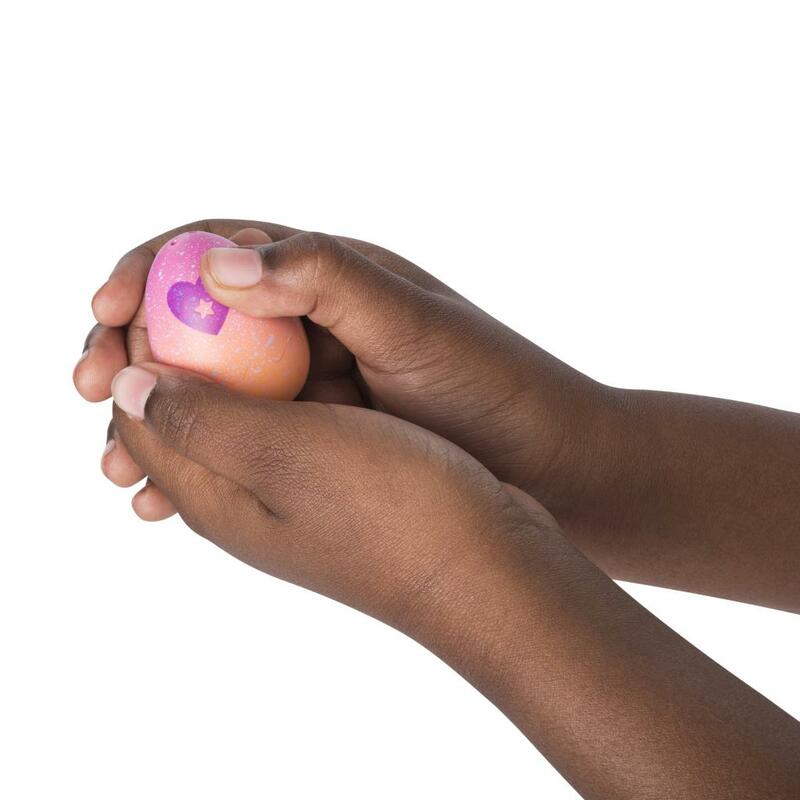 To find out who’s inside, hold the new ombre egg in the palm of your hand. Rub the purple heart until it turns pinks, then gently press down to crack the shell and meet your new friend! New to Season 4, you can use a light to make these Hatchimals go from colorful cuties to shining new friends! Simply place any light below to see them glow! As they shine, these new characters look even more magical! Keep your Hatchimals comfy and cozy using the crystal nest (included.) Flecked with sparkles, the crystal nest is the perfect place to display and play with your Hatchimal! 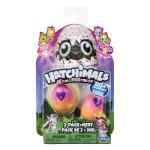 Hatch bright with the Hatchimals CollEGGtibles 2-Pack + Nest! PLACE ON A LIGHT, THEY SHINE BRIGHT: New Hatchimals CollEGGtibles have arrived! This season, you can hatch over 80 new friends who shine bright when you place them on a light! 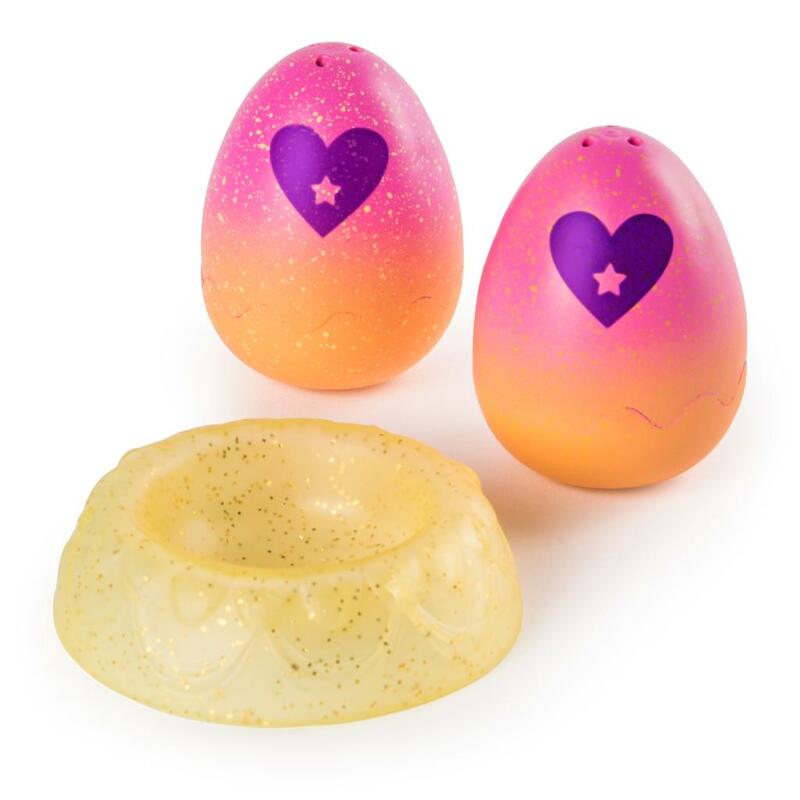 With 5 different finishes, you could hatch a metallic, glitter, fuzzy, glow-in-the-dark, or shining tummy Hatchimal! 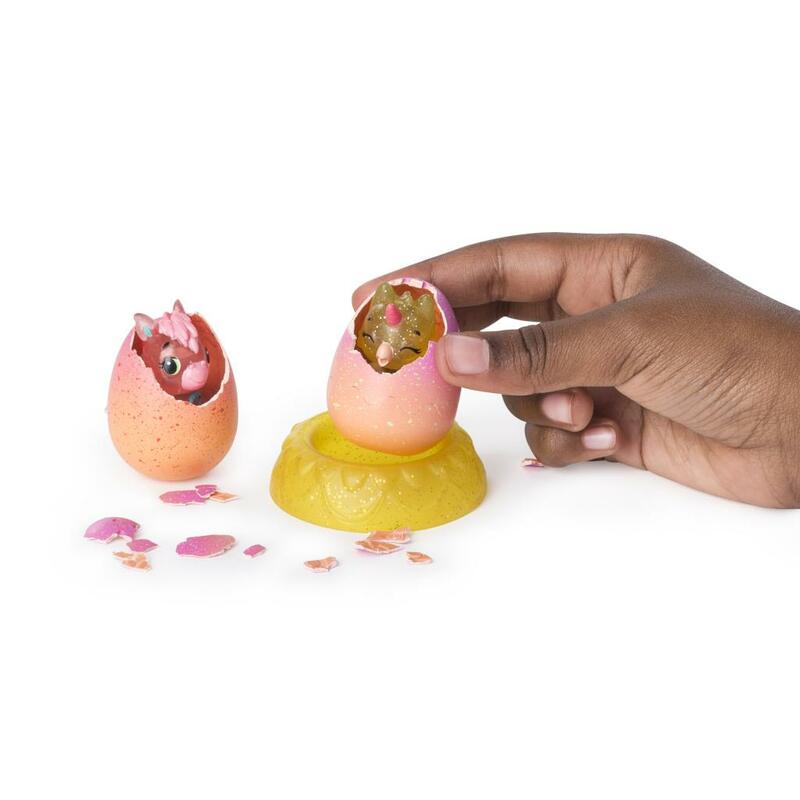 PLAY AND DISPLAY WITH THE NEST: Your new Hatchimals come with a glitter-flecked nest! Use this sparkling nest to display and play with these cuties! 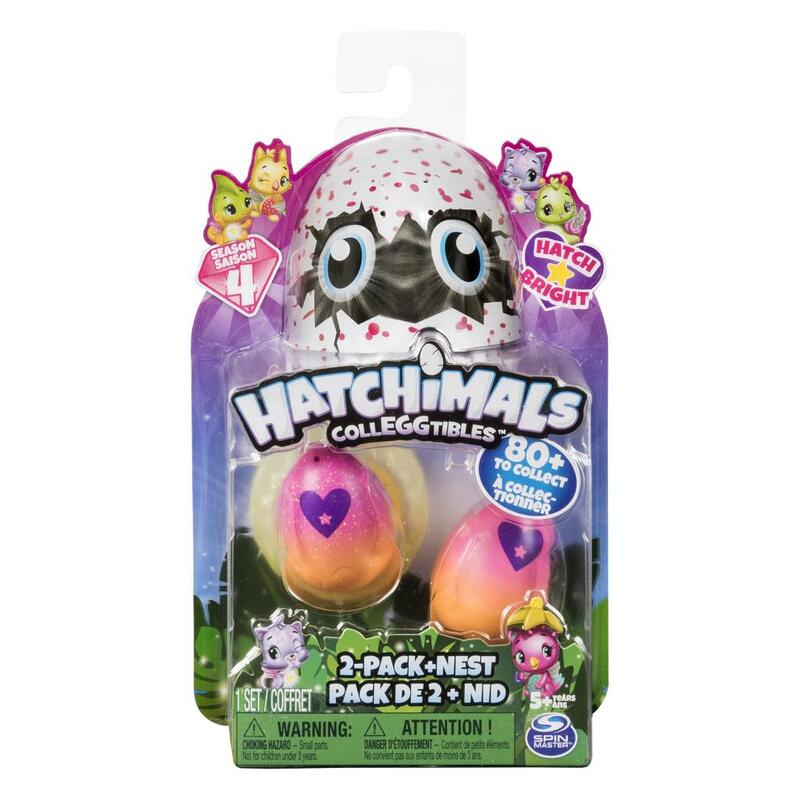 The Hatchimals CollEGGtibles 2-Pack + Nest is a great gift for kids aged 5+. Combine with the Hatchy Home Light-up Nest playset (not included) to show how your Hatchimals shine!